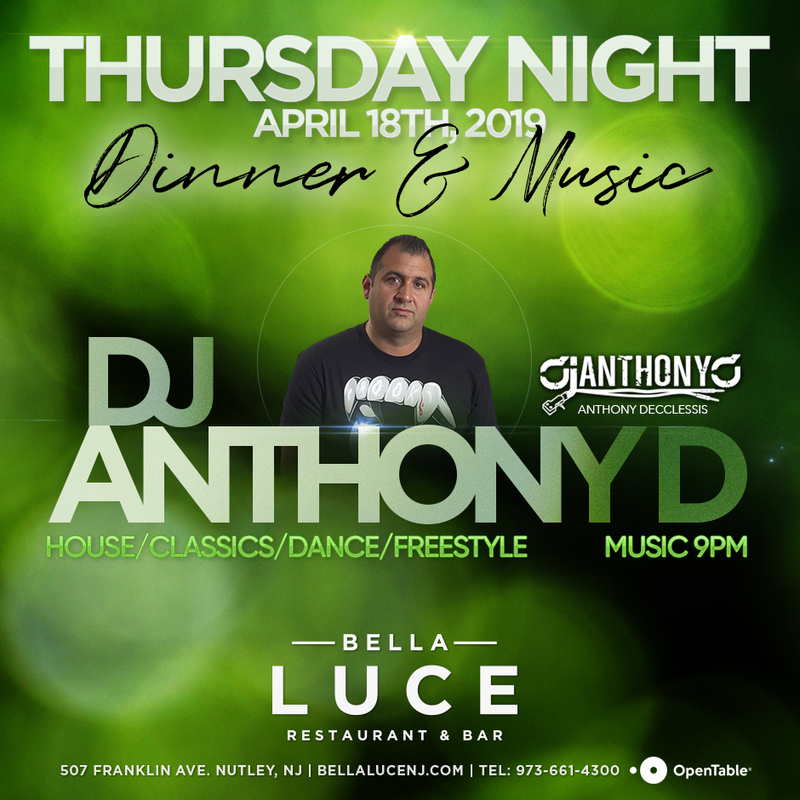 Don’t miss DJ Anthony ‘D’ (Decclessis) at Bella Luce as the hottest Thursday Night Party in Northern NJ continues through the Spring. DJ Anthony D will be spinning the hottest house, classics, dance, and freestyle tracks on Thursday, April 18th, 2019. Music starts 9pm.